There is something about drinking oolong tea that feels luxurious so it was fitting that our Tea Pairing 101: Oolong Tea edition took place in an elegant penthouse apartment in SoHo. This pairing series is a collaborative among me (Notes on Tea), Jee (Oh, How Civilized), and Sara (Tea Happiness). Oolong is the third tea type we have explored. See my write-ups of White Tea and Green Tea pairings. Oolong has the widest range of tea styles among the six major tea categories. 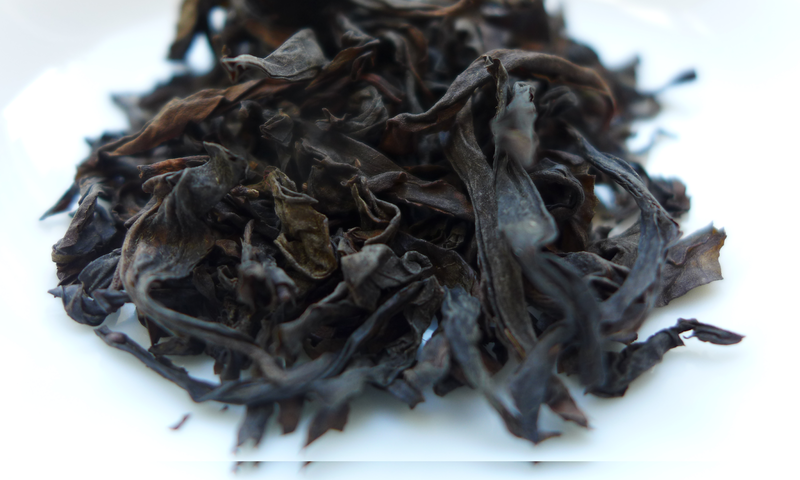 Oxidation level is a primary contributor to the breadth within the oolong tea class. The range varies depending on the source but I have seen 10-70% and 8-85% oxidation. Within this range are two subcategories of oolong: green oolong (less oxidized, closer to green tea) and dark oolong (more oxidized, closer to black tea). Roasting oolong is an add-on process. 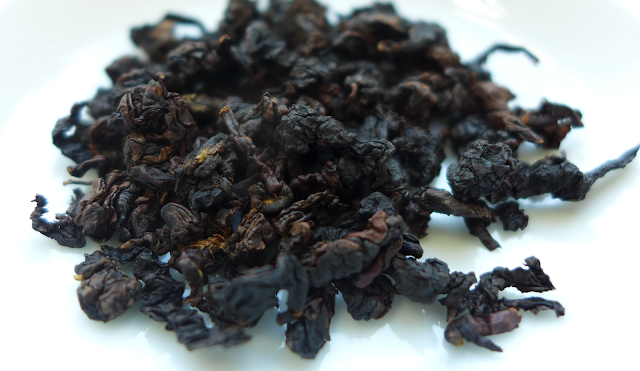 A dark oolong can be unroasted or roasted. Now on the to pairings! The penthouse at 286 Spring street is the expertly executed vision of an iconic 1920s industrial loft conversion in Hudson Square. Sprawled among 4,729 square feet of indoor living space, and 2,735 of outdoor terrace space, this two level apartment is one of five full-floor apartments in a boutique doorman building. Spectacular light shines from all directions, with open south and west facing views allowing for terrace views of the Freedom Tower and glimpses of the Hudson River. 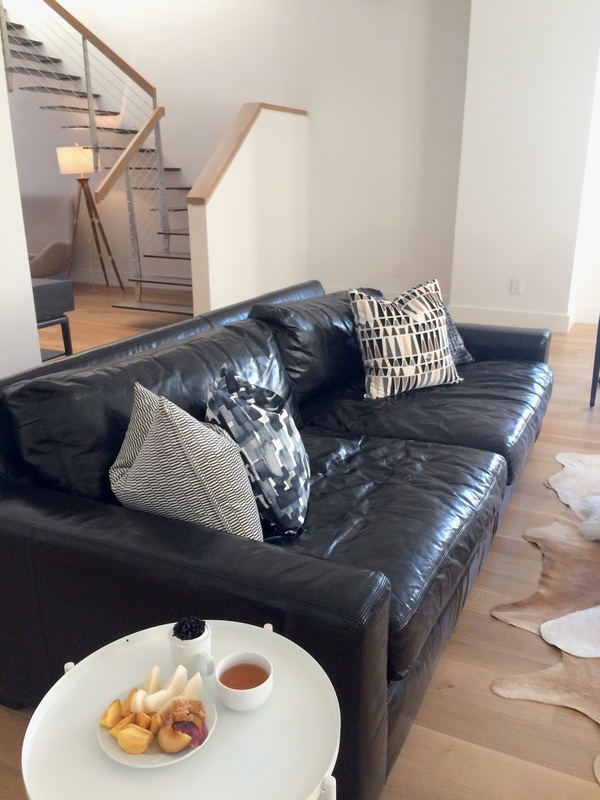 The 286 Spring Street, PH apartment is listed with Compass and is being represented by Elizabeth Schwartz. The oolongs we chose varied by country and oxidation level. The Tillerman Tea Wenshan Bao Zhong Spring 2017 (top) is the greenest oolong and the only one from Taiwan, specifically Pinglin in New Taipei City. The T Shop NY Tie Guan Yin (middle) is a roasted, dark oolong. The Seven Cups Xiao Hong Pao (Little Red Robe) Spring 2017 (bottom) is a wuyi oolong from Fujian Province produced from cultivar No. 204 (Xiao Hong Pao). We paired each tea with slices of Asian pear, persimmon, plum. We purchased all the fruit. We also served honeycomb with the fruit which was sourced from Andrew's Honey at the Union Square Greenmarket. We infused 3 grams of each tea for 2 minutes in professional tasting sets. Water temperature by vendor specification. In the case of the Xiao Hong Pao we infused the tea at two different temperatures but here I only report on the hotter steep. 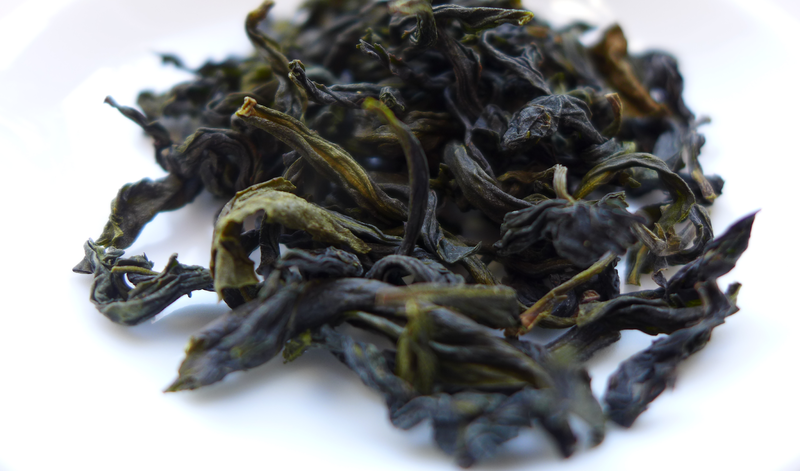 This green oolong is composed of inch-long, twisted leaves in shades of olive and forest green. The fragrance of the dry leaves was flowery which was pronounced in the infused leaves. A vegetal note was also present in the infused leaves. The yellow liquor was also floral and vegetal. The medium-bodied tea had a buttery texture. This many-flavored oolong was topped off with the tart skin of the plum and complemented by its sweet flesh. The mild-flavored pear allowed the tea to shine. The persimmon & tea combination was exponentially sweet. The tightly rolled, dark leaves of this tie guan yin smelled of fresh walnut and dried cherry. The infused leaves struck us as smelling like kukicha with twiggy, roasted, and chicory aromas. The amber liquor had a smooth mouthfeel with notes of chocolate and chicory. The plum and pear were not successful partners with this oolong. On the other hand, the persimmon's sweetness rounded out the roasted edge of this tie guan yin. Despite the robustness of the liquor, the pear managed to cleanse the palate of all flavor. The persimmon's beautiful sweetness was an advantage here as it tamed the bitterness. The plum also performed well. I didn't mention the honeycomb in the pairing notes because the tea and fruit were the main characters. However, honey-soaked fruit worked well with all the oolongs! If you are not prepared to let your fruit mellow in honeycomb, I recommend persimmon (we used Fuyu but a very ripe Hachiya would be very good) with darker oolongs as well as with oolongs that are roasted. A refreshing combination is pear (we used Asian) & green oolong. I think a creamy-fleshed pear such as an Anjou would complement greener oolongs. Don't forget to read Tea Pairing 101: Oolong Tea by Jee and Tea Pairing 101: Oolong Tea and Fruit by Sara. With the just-arrived cooler weather, we are ready to tackle black tea in the next edition of Tea Pairing 101. Curious about our studies? We are enrolled in the tea sommelier course at the International Tea Education Institute. Use NOTESONTEA10 when you register for any course. P.S. Craving more tea pairings? Read White Tea and French Cheese and Green Tea and Mochi. Well done! Let alone the healthy angle of just fruit and tea. Love it! Sounds like an amazing afternoon. I will try the persimmon and yancha pairing for sure. One of my favorite pairings is fruit leather with Da Hong Pao, so I am sure this one will be right up my alley. Thanks for the awesome post! Rie, it was! They all have been. I have a bit of DHP left that I'll try with a fruit leather. Any particular fruit leather? My favorite persimmon is (super ripe) Hachiya. We used Fuyu for the pairing. I enjoy cold steeping teas, too. Maybe I'll steep slices of pear my next glass of cold tea.